Unfortunately unable to commit to the Hotham weekend, I was keen to try and chase Mount Hotham for the complete, somehow I missed chasing it last year with 20 activators standing on it! There was some interest in 1296, so I chose Mount Torbreck at 1516m, involving a steep but rewarding 400m climb. Originally forecast to be 30deg C, it turned into a 34+degree day. 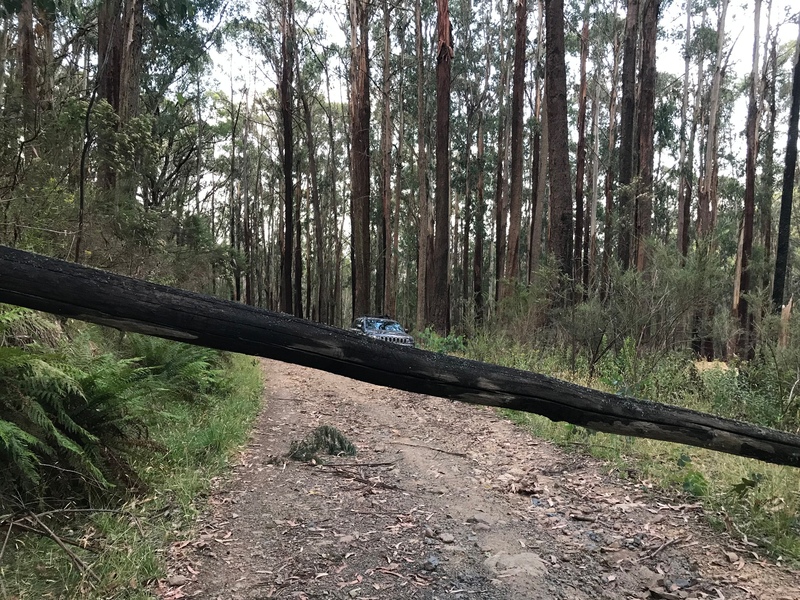 I was a little wary and chose to take the northern access route to save some walking and additional climbing, however I ran into issues with fallen trees. I was stopped short by 500m from the picnic area by the second tree. The climb took 80 minutes, it can be done in 60 from where I started, and it was 80 minutes where I could reflect on my poor decision making, such as the deadlifts and squats I did the day before… Halfway up I was having to take very frequent breaks with my heart rate at maximum or very near to it due to the conditions. 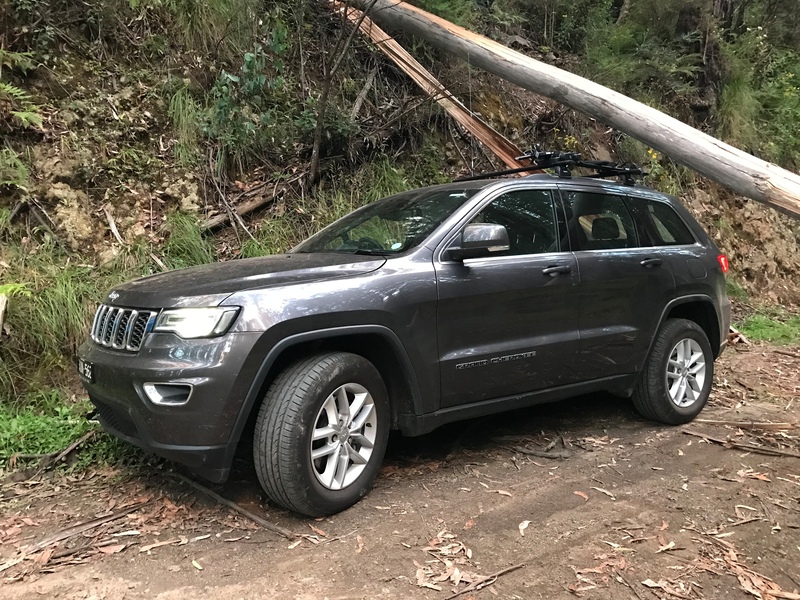 The track involves a reasonable level of scrambling and crawling under fallen trees. Once at the summit, I quickly qualified on 20m and 2m FM. 3 ZLs in the log. 40m was not that productive with just the 1 into Newcastle from memory, though to be fair I was a bit distracted with 2m. 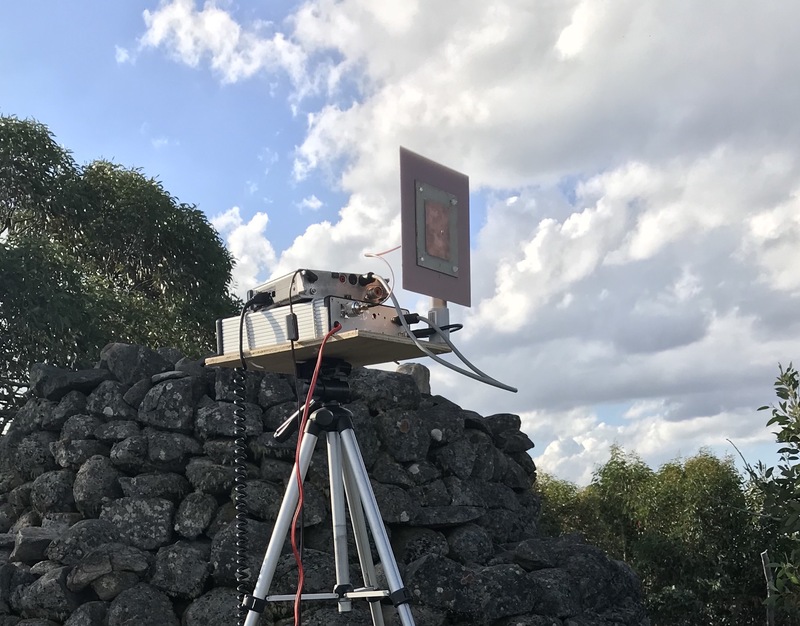 In the end, after liasing on 146.525 and 5 minutes pointing antennas we ended up with easy 59 signals and a very nice S2S/A2A with Andrew VK1DA, followed by another on VK3/VE-030 with Compton VK2HRX. I then proceeded to work every other activator on Mt Hotham for a log book filled with 1296 contacts, including two ZS calls. After packing up, it took only 40 minutes to walk down to the picnic area, feeling very happy with the activation. The hard slog paid off on 1296. Well done Andrew! After our easy contact I walked around the group of activators partaking in the ritual of the saturday evening and asked them all if they would like an s2s on 1296. The result was a queue of happy activators who mostly marvelled at the transverter and the baby yagi then at the sound off your signal fron Mt Torbreck. Thanks for making that possible. After all the 1296 action I had only made two contacts so I commandeered Wade’s ft857 for some cw contacts on 20m. Thanks - I appreciate the efforts at your end and well worth the extra kilo in weight lugged up Torbreck! This is the front view of the patch antenna - highly recommended for SOTA as it’s practically industructable. I didn’t think until after to work you on CW - next time. Always good to see what was at the other end. And yes I had a log full of 1296 SSB contacts from my summit as well. 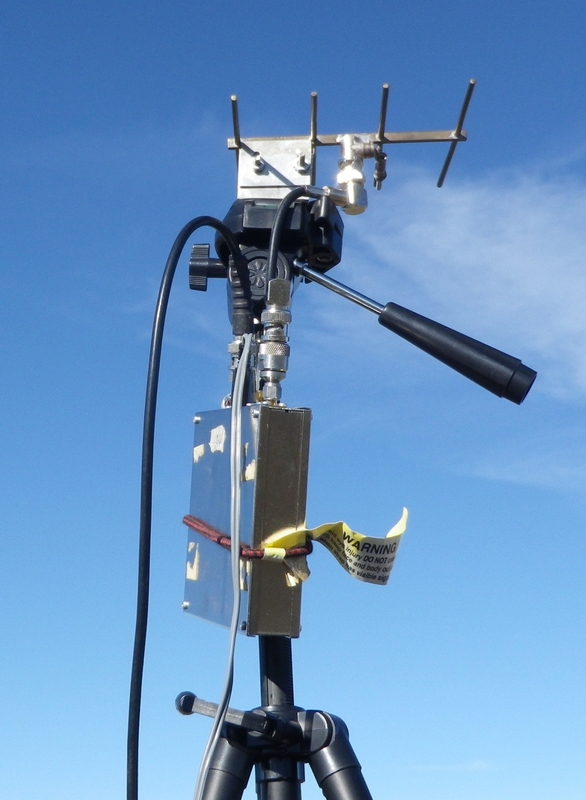 Andrew VK1DA, was the baby yagi the 4el brass yagi or a PCB yagi? It was the 4 el brass yagi. I don’t have one of the pcb antennas. It was a bit frantic and i completely forgot to take any photos, and my usual publicity agent was playing with computers. Yep would have been good to log it on cw too. I had the paddle right there. Is there a reference you can give us for the patch antenna? Seems a good shape to carry safely. Great to have the contact with you Andrew, there was a queue of operators on Hotham lined up to talk to you on 1296! What was your TX power, sigs were good? 120mw with a full battery, and that was sagging a bit by the end. I was well into/past the 1dB compression points of at least one amplifier stage so hopefully it wasn’t too distorted. Nice signal for only 120 mW! I built this using random FR4 and only measured years after when I finally had a reflection bridge - good oil was magically right on 1296. I don’t want to think about how you’d tune this. 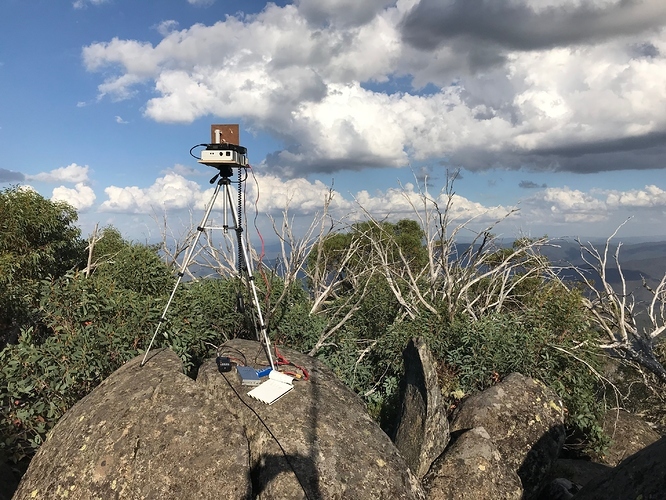 The transverter in use at Mt Hotham was nominally 2.5w output, so Andrew was receiving about 13 db more signal from us and was returning an s9 report. We thought signals on 144 later sounded a little better in terms of quality, unsure whether that is due to some compression in the transverters or something else. The 4 el yagi I ws using was made (I think) by Ed VK1VP (SK). This pic shows it when used in a slightly different configuration with a shorter feedline to reduce losses at 1296. The clamp was made in a hurry one day by me, hence the brutal construction method. 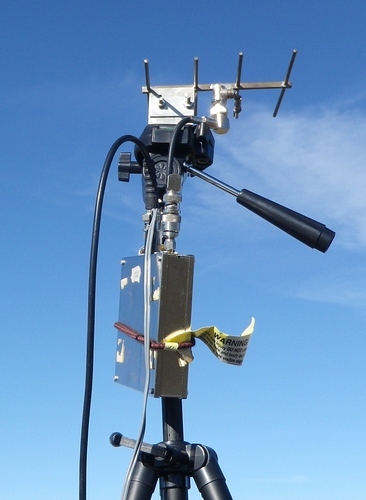 It is mounted on a standard camera tripod, and in the pic the transverter was mounted just below it. Last weekend I had a feedline of about 1 metre of RG58.